Christmas is over, the New Year has started and those eagerly-made New Year resolutions to study hard this year are already beginning to haunt you as you realise that your A-level mocks look a lot closer from this side of Christmas. But do not worry! 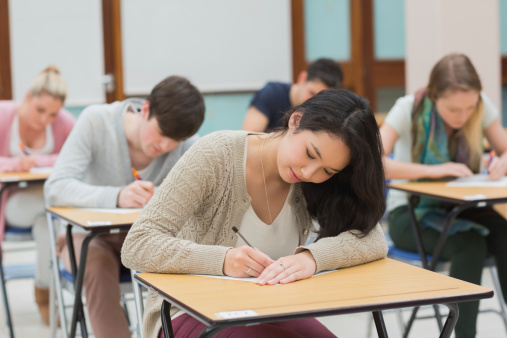 There is still time to prepare for the mocks looming ahead – and here’s how. Make a Revision Timetable and Stick to It! I know revision timetables probably make you feel nauseous just by looking at them. However, they really are an effective way to help you organise your work and plan your time. Make sure you plan to cover (and actually do cover) all of your subjects, and especially focus on topics that you find difficult or that are commonly tested. However, make sure that you don’t just revise for mock exams the whole day; find time for regular breaks, exercise and take a few hours off to relax however you want to. Having studied for exams in the past, you will probably already have a revision strategy that works for you; whether that’s pacing up and down the room while reciting your notes aloud or creating flashcards to test yourself and your friends. However, you’ll have realised that A-levels are quite different to GCSEs. For example, they differ in terms of the amount of content you are required to remember, so there’s no harm in trying out something different and seeing if that works for you. Even for medical school exams, we are encouraged to try out new ways of learning and vary our learning style for the different types of information and skills we learn. When you prepare for your medical school applications, everyone tells you that one of the most important aspects is reflecting on your work experience and saying what you learned from it. Why? Well, this is because reflection is essential in medicine, but also in general life; it’s how we learn from experiences and stops us making the same mistakes again and again. The same is true for exams and past papers. Practising under timed conditions is really helpful to enable you to understand the format of the real exam, and the amount of time you have for each question. This helps you plan your time in the mock exam and ensures you are familiar with the format of the exam and how it works. Perhaps one of the most important things is learning from the past papers; what types of questions did you do well on, what questions did you get wrong and why? This will help you focus on your weaker areas and maximise your performance for the mock exams and the real thing. Mark schemes are of course useful to help you decide whether you got specific questions right or not. Crucially, they are much more useful than they first appear. As you complete more and more past papers, specific questions and concepts will be repeated time and time again. By analysing the mark scheme’s answers to these typical questions, you will see that often similar important points are repeated, and you can ensure that these are included in your answers in future. Another useful document available on the exam board websites that is often ignored are the examiner reports. These are actually a hidden gem in that they explain what the examiners thought about the way students answered each question, and which concepts were poorly understood, which allows you to ensure you cover those concepts thoroughly for the next paper. Treat the mock exams like they’re the real thing. They are often a good representation of what the real exam is likely to be like, and act as a sort of ‘practice run’ before the real exam. Revise for the mocks properly and do past papers to test yourself on what you have revised. However, don’t stress too much about the mocks. Although you should treat them like the real exam, remember that in the end no matter what mark you get, they don’t count towards the real exam. The most important thing is learning from them! They will help you focus on concepts that you don’t know well so that you can make sure you know and understand them thoroughly for the real exam. Remember that by the time you take the real exam in June, you will be much more familiar with the concepts and will have covered all the information in the course, as well as have practised even more past papers. Don’t forget about this one – make sure you take time out to relax, keep healthy and go out with friends. Don’t neglect your mental or physical health at the expense of mock exams (or real exams for that matter). It’s really important to take some time out for yourself and do something you enjoy to get away from studying – and that applies to being a doctor and general life as well. You are not a robot! Don’t overdo it, and make sure that if you’re struggling, you talk to someone; whether that be your friends, family or teachers. Work hard, but also play hard! Good luck!